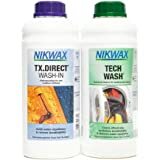 Ships with any qualifying order over CDN$ 25. 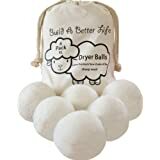 Household Essentials Soft Dryer Balls help make your clothes dryer more efficient. 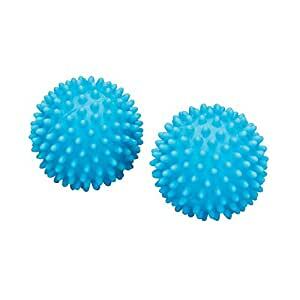 These handy, soft rubber balls are about the size of a tennis ball. They have smooth, rubber tips that grip clothing while in dryer. The gentle grip lifts, separates and fluffs clothing better than drying alone. This means air circulates better during the drying cycle to help clothing dry quicker and more evenly. 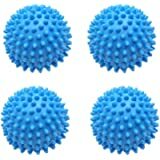 These non-toxic blue dryer balls are safe to use with all dryer-safe fabrics. Each dryer ball is 2.5 Inch in diameter. Excellent. Good size and quality. Performed exactly as expected. These are softer than I thought they would be but my mother is happy with them. 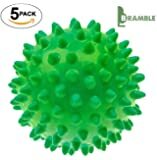 Household Essentials Soft Dryer Balls. Package of two. 2.0 out of 5 starsTook forever to receive, and they don't work at all! Although these are cheap, I wouldn't purchase again. It took almost a month to be delivered, and they don't seem to soften our laundry at all. 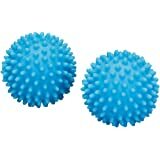 I really didn't think the balls did that much, but after using these, I'll stick with the more expensive ones that actually do what they're supposed to. I would no recommend these. 2.0 out of 5 starsWork, but extremely loud. Bought these to replace a previous set of unknown origin. Even though these were advertised as "soft", they are extremely loud in the dryer. As an apartment dweller, I had to remove these. They did, however, seem to work fine. 5.0 out of 5 starsReally works! Drying times were reduced on large blankets and towels. I didn't think it would work but it does! These do not leave a bad smell in the dryer or on the items in the dryer. We did not use dryer sheets as instructed. 2.0 out of 5 starsThese are NOT "SOFT" Dryer Balls!! 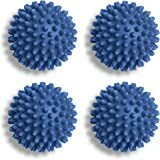 I have used dryer balls for years and swear by them but I hate the hard ones. I purchased these for a friend specifically because they are labeled "soft" but they are hard. Returned for a refund. 3.0 out of 5 starsNeeds to be a little heavier to be effective. Had imagined that these would have a little more heft. They are very light and I think that limits their effectiveness in the dryer.